At the Miami Sony Ericsson Open, Guillermo Canas announced his retirement from professional tennis. Canas said he decided to retire rather than undergo a fifth operation on his right wrist. He has been battling pain in the wrist for more than a year and hasn’t played in a tournament since July. "I decided eight weeks ago and all, it's a physical question," said Guillermo. "My wrist just won't let me play. But I'm not leaving with regrets, there were many huge moments in my career. It's now time to begin a new life,"
Canas will continue to be related with tennis as he is working in his a tennis academy in Key Biscayne. Fernando Verdasco has reached the quarterfinals of the Swedish Open, saving a match point late in the third set before beating Daniel Koellerer 6-7 (1), 6-2, 7-5. Leading 5-4, Koellerer reached match point when the Spaniard hit a forehand wide. But the unseeded Austrian hit a long return next, then made two unforced errors and Verdasco held to 5-5. Verdasco broke to lead 6-5 and then held to love, ending the three-hour match with an ace. Jurgen Melzer, Nicolas Almagro and Andreas Vinciguerra also reached the last eight. Melzer defeated Daniel-Gimeno Traver 6-2, 6-2 to line up a match with Vinciguerra, who ousted Guillermo Canas 6-7 (5), 6-3, 6-4. Almagro rallied past Potito Starace of Italy 2-6, 6-1, 6-1 and will play Robin Soderling of Sweden. Koellerer was treated during two changeovers late in the third set because of calf cramps. After being broken in the 11th game and falling on the court, a trainer and an official helped him to his chair. Koellerer also had four break points when leading 4-3 in the third set. Verdasco will play either Victor Crivoli of Romania or Juan Monaco of Argentina in Friday’s quarterfinals. Check out Guillermo Canas practicing on March 9th, 2009 at the BNP Paribas Open. 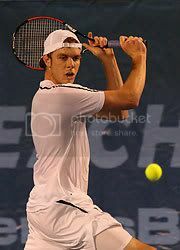 Sam Querrey defeated Guillermo Cañas 7-6 6-4 at the Delray Beach International Tennis Championships to reach the second round. 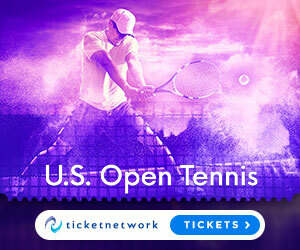 Querrey prevailed in a tie-break after both players dropped serve twice in the opening set, and then needed just one break of serve in the second set to close out the match at the ATP World Tour 250 tennis tournament. The American now improves to a 9-5 season record, highlighted by a runner-up finish in January at Auckland and back-to-back quarter-finals at San Jose and Memphis. “He makes a lot of balls and he makes you work for every point. I kind of had a little cold last week and early on in the first set I was feeling winded after some of those long points. He always makes you hit another ball on every point.” said Querrey. Guillermo Cañas recently bought a condominium on Brickell Avenue, Miami. But Cañas would like a more lasting connection to the area. He has plans for a year-round tennis academy on Key Biscayne along with partners Gustavo Oribe, a former FIU player and Martin Garcia, and former tour pro. Cañas has submitted plans to the Miami-Dade County Commission for an academy that would service everyone from a 6-year-old in a beginner's class to a tour pro seeking top-notch competition. South Florida weather is perfect for tennis. The Tennis Center of Crandon Park is largely vacant for much of the year now that the U.S. Tennis Association moved out. And pros such as Andy Murray, Gael Monfils, Fernando Goznalez and Nicolas Lapenti have homes here. "This seems like the perfect place for a tennis academy, and there really isn't anything like it down here. We want it to have a warm, family-like atmosphere, where everyone who loves tennis can feel welcome. 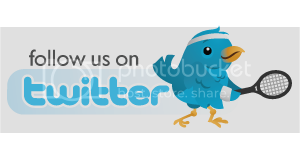 We'd have beginners programs, senior programs, programs for college players, and for pros." Cañas said. Cañas said he has been in contact with potential coaches, trainers, nutritionists and sports psychologists. "I thought about doing this in Argentina, but Miami seems more logical" He said. Cañas also added that he might retire after this season and then dedicate himself to the academy. "I have always dreamed of owning a place like this, and hopefully, we can make it happen." 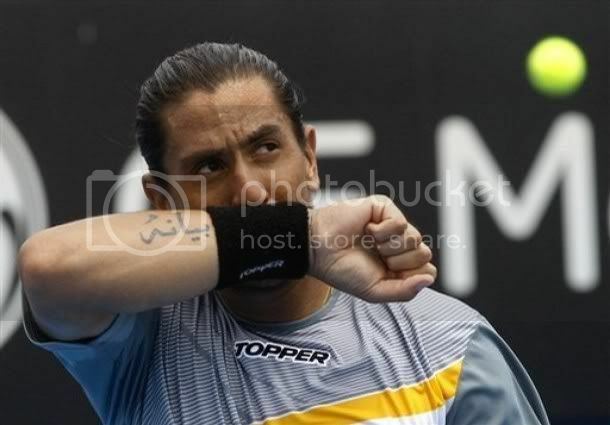 "Photos: Guillermo Cañas at Copa Argentina de Tenis"
The Copa Argentina de Tennis is underway and today Nicolas Massu replaced Agustin Calleri who got an injury in his shoulder a few days ago... Massu played against Feliciano Lopez while Monaco took on Cañas. The Copa Argentina de Tenis begins on Thursday, December 11th, andJuan Monaco, Feliciano Lopez, Agustin Calleri and Guillermo Cañas will be in action. 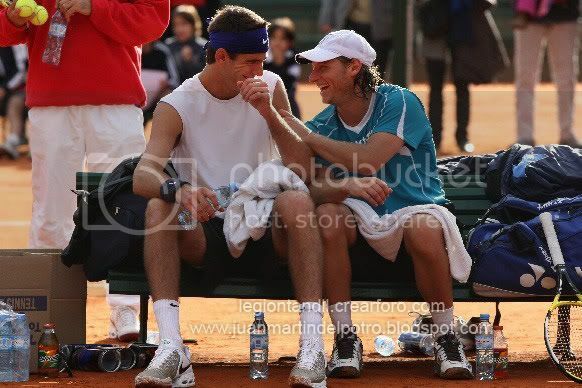 Gaston Gaudio is in replacing Carlos Moya and Juan Ignacio Chela is taking Juan Martin Del Potro's place at this event. Moya and Del Potro had to withdrew because of injuries. 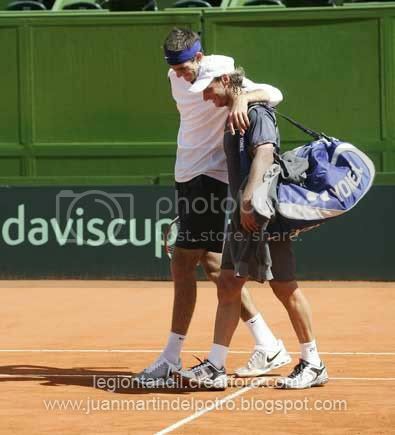 David Nalbandian was the last one to confirm his presence at the Copa Argentina de Tenis. This will be the sixth edition of the tournament, which will take place in the central court of the Buenos Aires Lawn Tennis Club, on the traditional fast surface that is mounted for this event. The tournament will be played on December 11, 12, 13 and 14, 2008. Will be held in the format of 8 players with two games per day (Thursday and Friday), semifinals (Saturday) and final (Sunday). 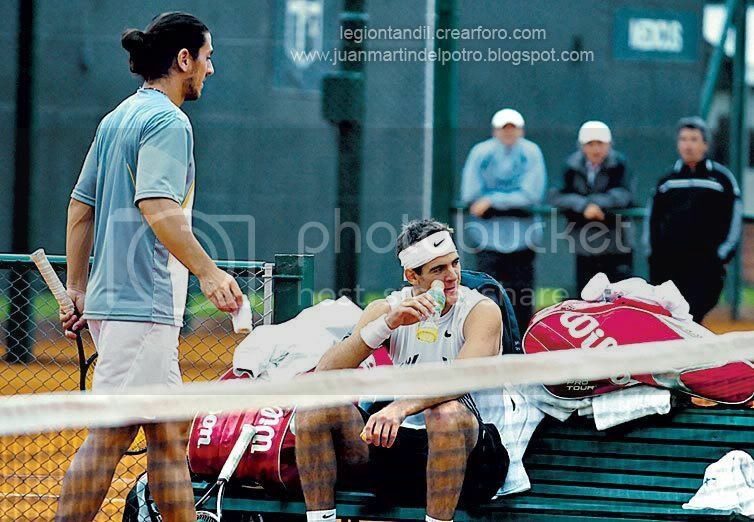 Nalbandian has join Juan Martin Del Potro, Agustin Calleri, Guillermo Cañas, Jose Acasuso, Juan Monaco and Juan Ignacio Chela (as an alternate) and Spaniards Carlos Moya and Feliciano Lopez. For youth and quality, Lopez will be a top attraction after his superb performance in the final World Cup disputed Davis in Mar del Plata. "Challenger Dnepropetrovsk, Ukraine $125,000 Main Draw"
Dmitry Tursunov, ranked number 25 in the ATP rankings and who has titled twice at Sydney and Metz this season, is the top seed this week as he plays his second Challenger event of 2008. In the first round Tursunov will face Jan Hernych who just won the €106,500 Bratislava Challenger on Sunday. The second seed is Igor Kunitsyn and he will meet Oleksandr Dolgopolov Jr., who made it to the main draw by winning 3 qualy matches. Other seeded players in this event are Victor Hanescu, Fabrice Santoro, Guillermo cañas, Sergiy Stakhovsky, Dudi Sela and Roko Karanusic. Juan Martin Del Potro, third seed, began his campaign in Austria with a close 2 set win over Fischer. Gael Monfils, 8th seed, also was a first round winner after winning a 3 set battle against Peya. For the second round, Fernando Gonzalez, second seed, needed to save 5 match points to finally defeat Ernests Gulbis while Fernando Verdasco, 5th seed, had no problems to beat Guillermo Cañas. F Gonzalez (CHI) d E Gulbis (LAT) 46 76(11) 61 - Saved 5 M.P. Juan Carlos Ferrero upset Ivo Karlovic, 4th seed, in 2 sets to reach the second round of the Bank Austria-Tennis Trophy. Fernando Verdasco, 5th seed, also advanced with a 2 set victory over Crivori while Guillermo Cañas won his first match in 2 month after beating Andreas Seppi. Guillermo cañas will be in action at the Bank Austria-Tennis Trophy on Monday when he faces Andreas Seppi for a place in the second round. Ivo Karlovic will meet Juan Carlos Ferrero while Carlos Mota plays against Michael Berrer. Other players that will be on the court on Day 1 are: Fernando Verdasco, Agustin Calleri, Feliciano Lopez and Jan Hernych. The answer to the true or fault segment from the Nadal Naked show. Ernests Gulbis began his campaign at the Open de Moselle by upsetting Mario Ancic, 8th seed, in 2 close sets. Jose Acasuso defeated his countryman, Guillermo Cañas, in a 3 set battle while Carlos Moya got past Albert Montañes also in 3 sets. After just two days of celebrating that Argentina reached the final of the Davis Cup, the tennis player Guillermo Cañas suffered bad moment early this morning, as he was assaulted when arriving at his home in La Matanza. According to police, two robbers intercepted the athlete at a time when he was returning home. The robbers took all Cañas' money, his documents and they drove away in Cañas' Mercedes Benz car. During this past weekend in Malaga, Argentina faced Spain in an exhibition and the local players took the win. On Saturday Guillermo Cañas defeated Juan Carlos Ferrer but Jose Acasuso lost to Carlos Moya. On Sunday Juan Carlos Ferrero scored a 6-4 7-5 win over Acasuso given Spain a 2-1 lead and later Carlos Moya beat Cañas to give his country a 3-1 victory. Two great football soccer players from Argentina, Diego Maradona and Claudio Caniggia, were at the exhibition to support the Argentine team.